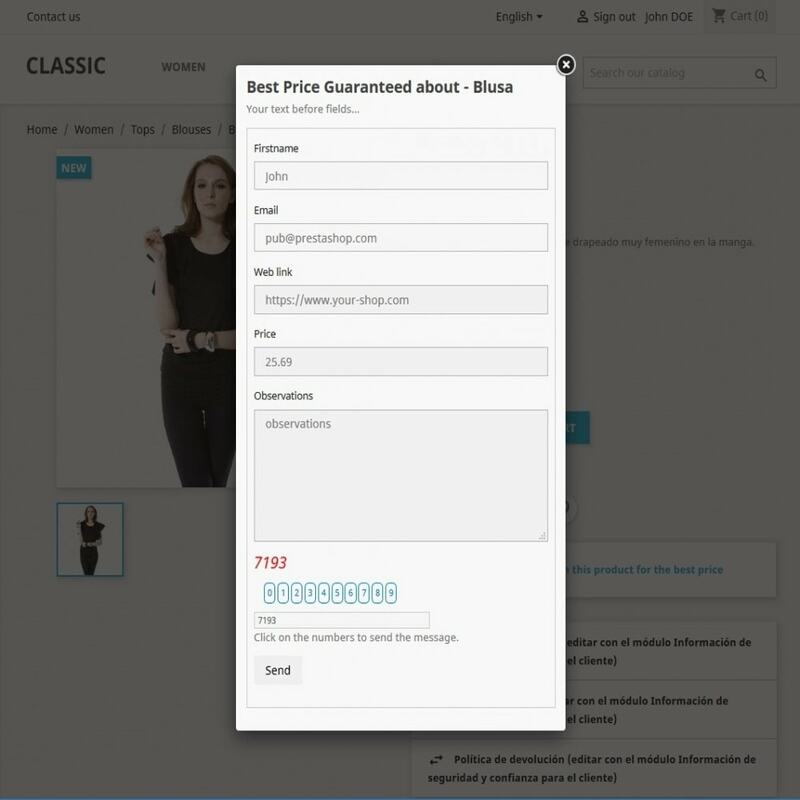 This module enhances the interaction of customers in your shop. This allows to know the prices of competition gaining direct contact with a prospect. You can retain customers and increase sales. This module provides a possible way to win a customer by offering the best price guarantee. Allows saving messages in Customer Service. 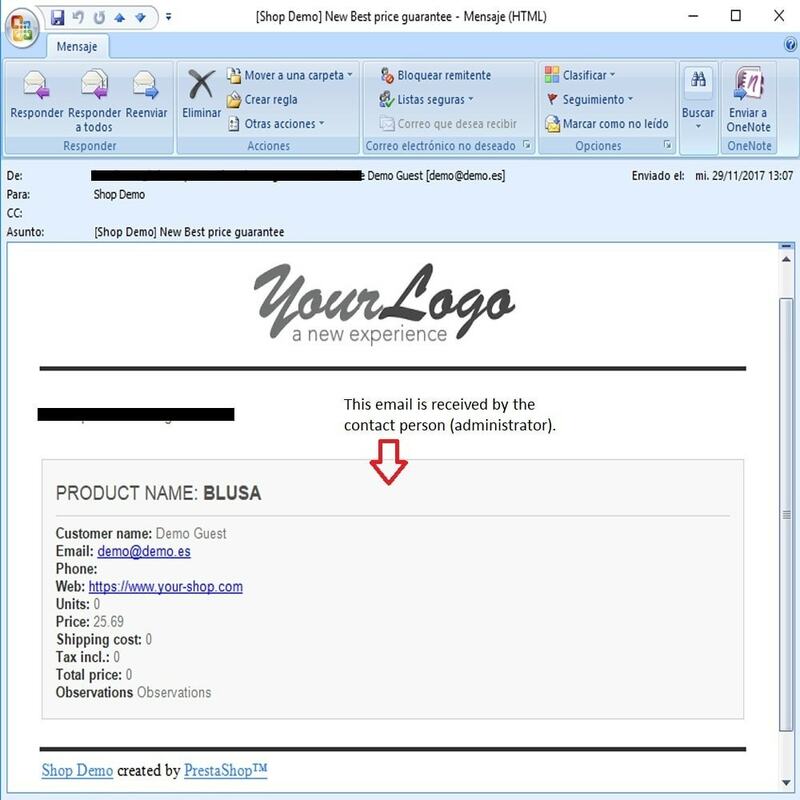 Select the contact person who will receive the emails. You can specify which fields to display on the form (name, email, ..). It can be easily translated through the translation prestashop. When the form is sent, the contact staff receives all this information in a table format and is also registered in the Customer Service section if desired. The customers increase interaction and experience in your shop.